On Monday, Weld County coroner, Carl Blesch, said via a release that the coroner's office will refile the request, though a hearing date has not yet been set. KUSA — The Weld County District Court denied the prosecution's request to seal the coroner’s autopsy reports in the case of the Frederick man accused of killing his pregnant wife and their two young daughters on a technicality Friday. However, a move from the coroner's office on Monday could keep the reports out of public view. In Friday's document, the court denied the DA's request to seal the autopsy reports of Shanann Watts, 34, and her daughters Bella, 4, and Celeste, 3, saying the motion lacked "subject matter jurisdiction." Judge Marcelo Kopcow's denial was on a technicality - the motion to seal the autopsies was improperly filed by the District Attorney, Michael Rourke, as part of the Watts homicide case. Friday's court filing opened the door for the Weld County coroner, Carl Blesch, to refile the request as its own case. On Monday, Blesch said via a release that the coroner's office will refile the request, though a hearing date has not yet been set. Under Colorado law, the county coroner is the “custodian” of autopsy reports, which is why it's up to the coroner to file a request to seal the autopsy reports in the Watts case. Chris Watts, 33, is charged with five counts of first-degree murder in wake of the deaths of his wife and kids. He is also charged with tampering with a dead body and unlawful termination of a pregnancy. Rourke also said publicly releasing Shanann, Bella and Celeste Watts’ cause of death could result in tainting witnesses and impacting the jury pool. Autopsy reports in Colorado are presumed public unless a judge rules otherwise. 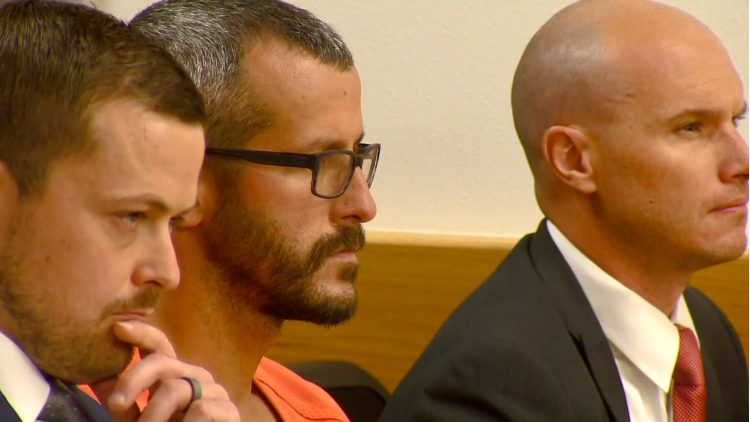 According to the arrest affidavit, Chris Watts confessed to police that he killed his wife on Aug. 13 – but only after he saw her strangle their two young daughters. The bodies of Bella and Celeste Watts were found in oil wells owned by Chris Watts’ former employee, Anadarko, and Shanann Watts was found nearby.The day before he was arrested, Chris Watts appeared on 9NEWS and begged for his wife and daughters’ safe return. Rourke has said previously it was too early to say if his office will pursue the death penalty.